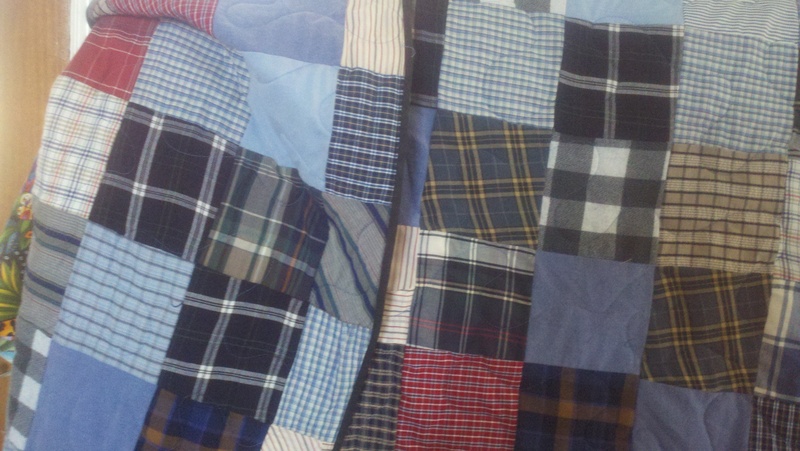 made from dad’s shirts, patchwork on both sides, mostly for his daughter. gift from sweet husband. he wanted it to be cuddly for her.